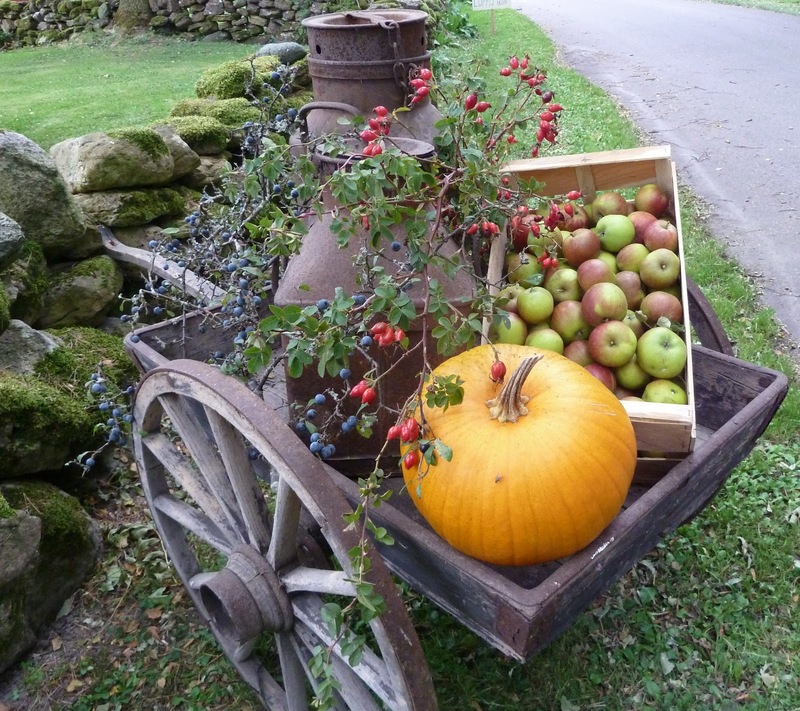 This could be an autumn scene here in New Engalnd--apples and pumpkins are classic. Wonderful fall setting. I want to munch on one of those apples and carve that pumpkin! I love this seasonal composition...very pleasing on the eyes! Pumpkins and apples go together in the Fall just like the changing colors of the leaves and crisp, clean air. This is so gorgeous. I love how universal it is. I like the textures of the old cart and that moss covered stone wall is to die for. That is a beautiful shot! The subject, colors and composition are gorgeous. very nice this picture! charming! Such a great autumn sight! Those apples look so good. Love the cart. Anyway, nice composition for the season. That "used" wagon looks to be in great shape.